Email account is a necessity nowadays. Communication, signing up to other accounts and filling up forms. 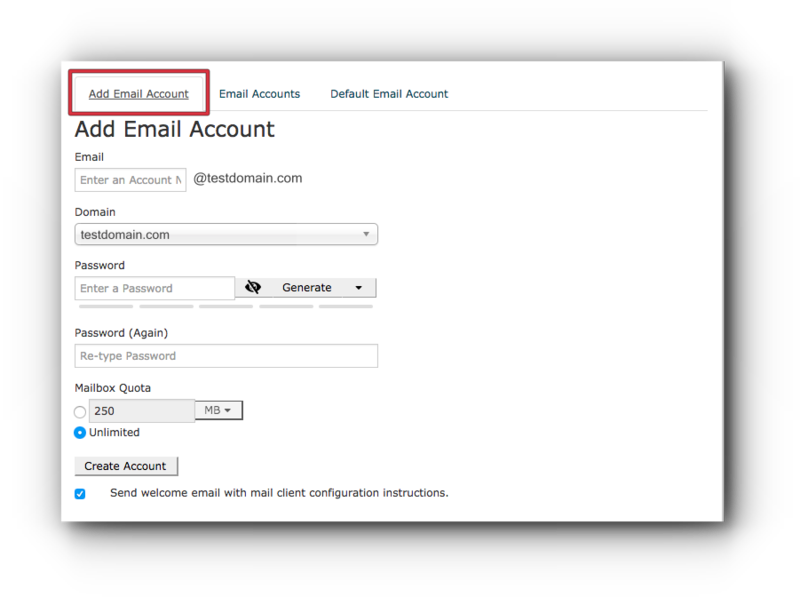 To create a new email account using your domain name with Vodien, please follow the simple steps in this article. Step 2. 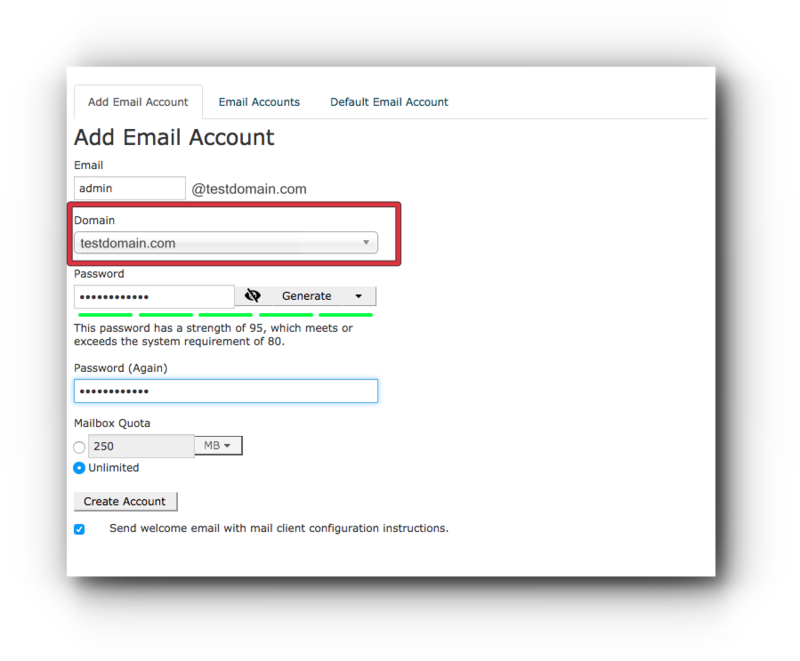 Under Email panel click on Email Accounts. Step 3. 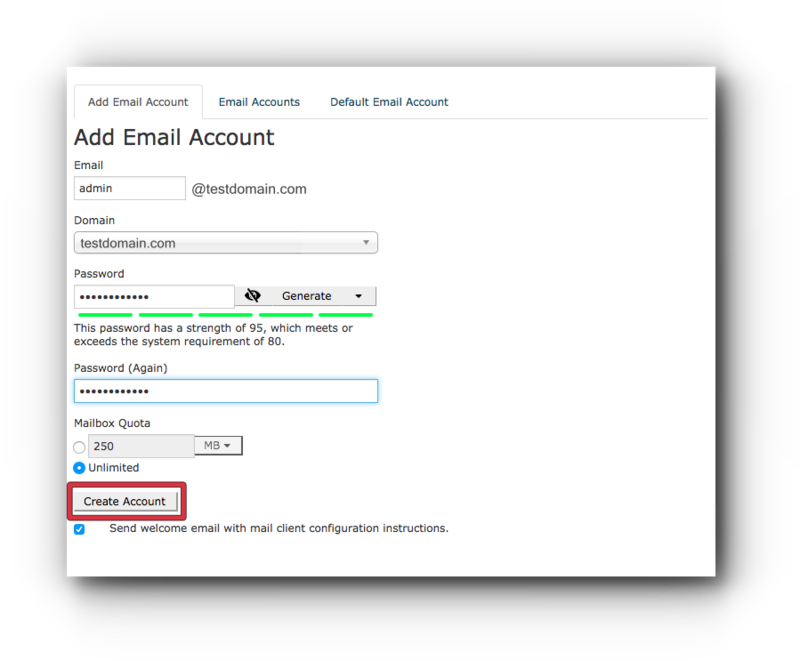 Click Add Email Account tab. Step 4. Enter the desired email address. Step 5. For multiple domain names, select on the domain name from the drop-down. Step 6. 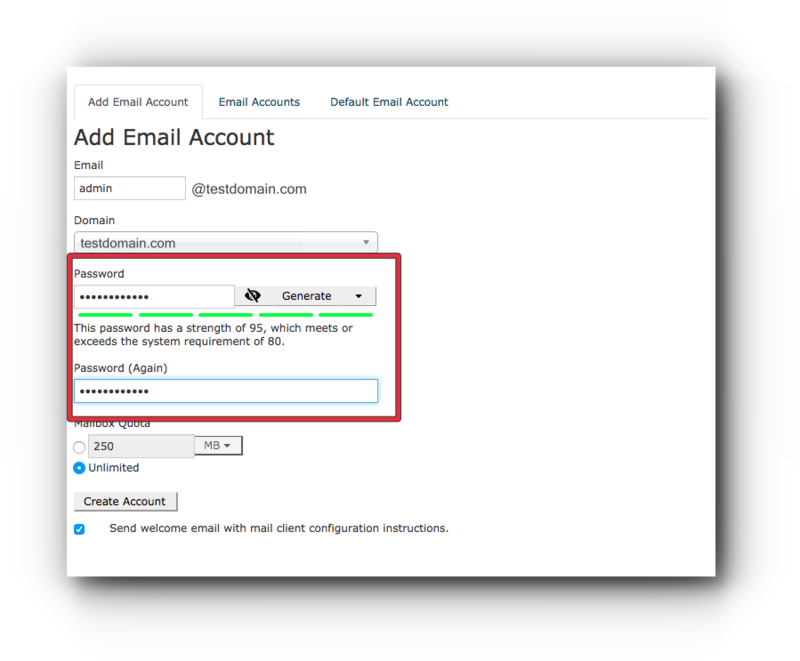 Enter the password in the fields provided and make sure that the password is strong enough to be accepted by the system. You may also click on Password Generator button for the system to provide you a unique password. Step 7. 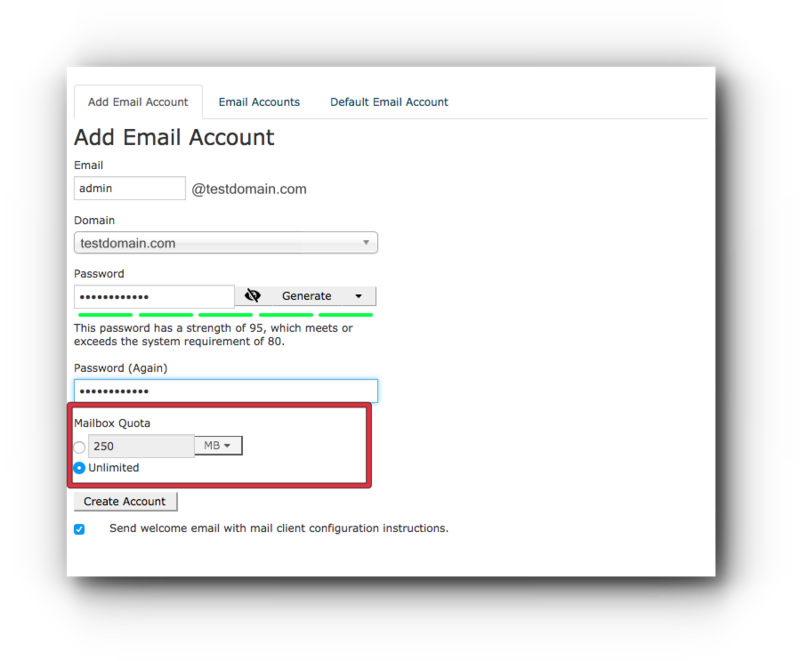 Select on the Mailbox Quota limitation. Step 8. Click Create Account button. 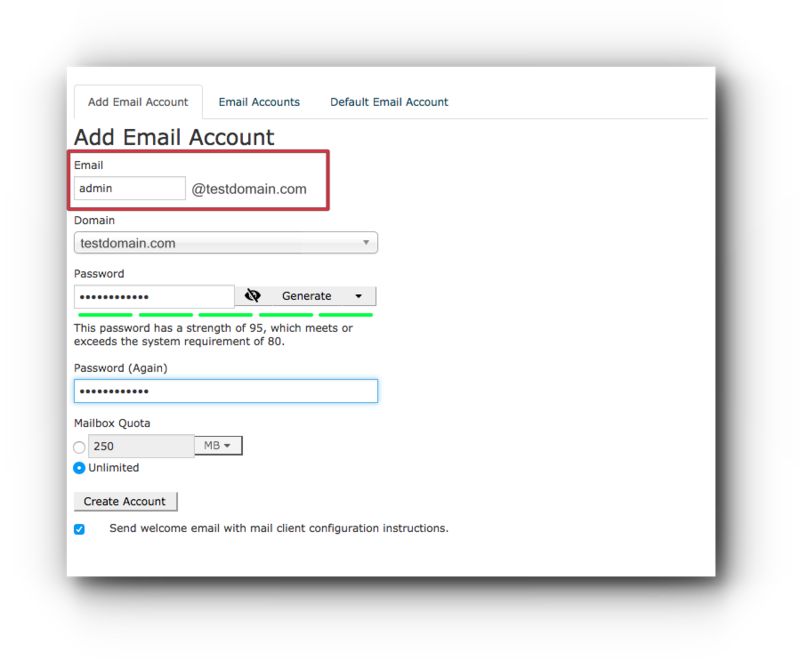 You may now access your email account with Webmail or with any other email clients (Mac Mail, Thunderbird, Outlook, etc.) and devices (Windows, Android, iPad, iPhone) with IMAP/POP setup.